Before you consider staff, marketing budgets, website design or even suppliers, you need to know where it is that you are going to launch your new venture. Singapore is an exciting city, strategically located between east and west, is home to a very attractive tax system and has some of the best infrastructure in the region. About 50,000 new businesses open in Singapore each year due to its attractive location and this could be just the choice for you to seek out serviced office space to get your business off the ground. With finding a serviced office space in Singapore now firmly at the top of your list of priorities, let’s take a look at how you can choose the best one for your new venture. A premium office address in Singapore such as Market Street, Battery Road or waterfront Marina Boulevard, gives you instant credibility in the city. Locating your office in a prestigious location like these gives you immediate access to the thriving business community and allows you the opportunity to reach clients, investors, partners and all of the business services you need with ease. 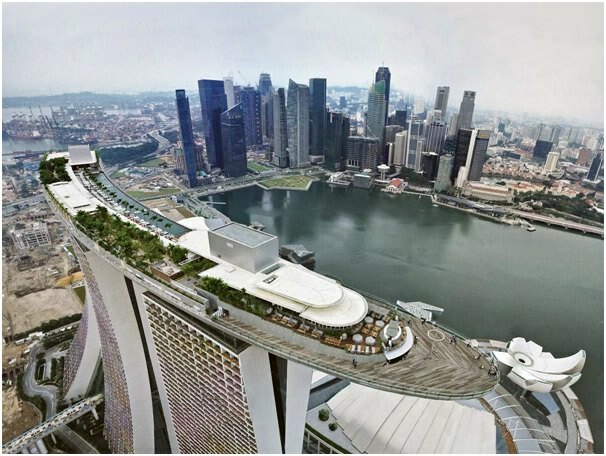 Prestigious locations in an iconic booming business hub like Singapore would traditionally have been expensive options, with long-term rigid leasing options. However, with a serviced office space, you can still locate in one of these iconic areas, with full access to all the facilities you need, in a five-star standard office environment and all for one flat monthly fee. You’ll have no setup costs and be able to hit the ground running with your new business and stay in control of your monthly outgoings making a serviced office a great option for entrepreneurs in Singapore. Arriving in a new city, even the small things like setting up a phone line can be challenging. You’re not familiar with the local companies, contractors and don’t know the lie of the land yet. However, you need to ensure that you have a reliable phone service and a receptionist on hand to take your calls for you as soon as possible, so you can concentrate on reaching out to clients and goring your business. A serviced office is just that, serviced. They come with top-rate phone and telecommunications already installed and ready to go. You’ll have your own dedicated phone number and receptionist to take your calls. They can answer the phone in whatever way you feel gives the most professional image of your company and will forward calls to you so you never miss an opportunity. Premium serviced office space providers will also have a range of meeting rooms and boardrooms for you to host client and staff meetings in. These are offered on a pay as you go basis with no contract required, giving you the more flexibility than ever before. What’s more is they are tastefully decorated and unbranded so you can feel confident hosting your clients here and close those big business deals and start moving your business in the right direction. Singapore is full of opportunity, a great place to start your business and is in a great position for you to further expand operations into the other Asian markets. As serviced office here, allows you to get a foothold in the local business landscape without any long-term lock-in contracts or the hassle of setting up your space. You’ll have access to meeting rooms to close those all-important deals and a receptionist on hand to field your calls so you never miss a new opportunity. A serviced office in Singapore is the right move for your new business venture and will get you moving on the fast track to success in no time.